This black granite with the white variegation veining is quarried in St. Peters, Pennsylvania. Sometimes called French Creek or Fox Hill Black, it has proven itself to be one of America's most popular domestic monumental granites. This red/pink granite is quarried in Canada and is also known as North American Pink granite. This economical medium-grey stone is quarried in Oglethorpe County, Georgia (in the greater Elberton granite district). 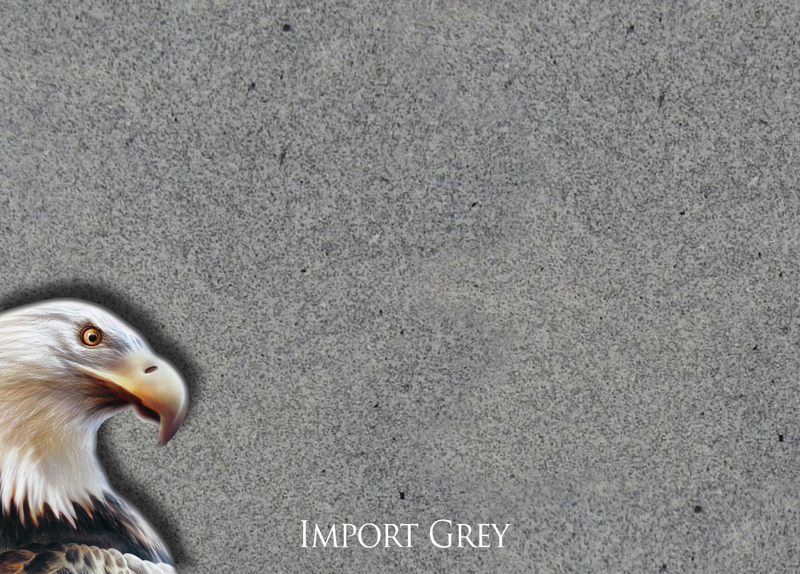 The material is a medium blue/grey granite that is our most popular material for granite monuments because of its consistency in color and grain. The stone looks great polished or steeled. This marble is quarried in Tate, Georgia and is a popular material for memorials. The material is white with grey veining. Because it is a natural material, the variegation in the material is different in each piece. This stone is quarried in South Dakota in the United States. 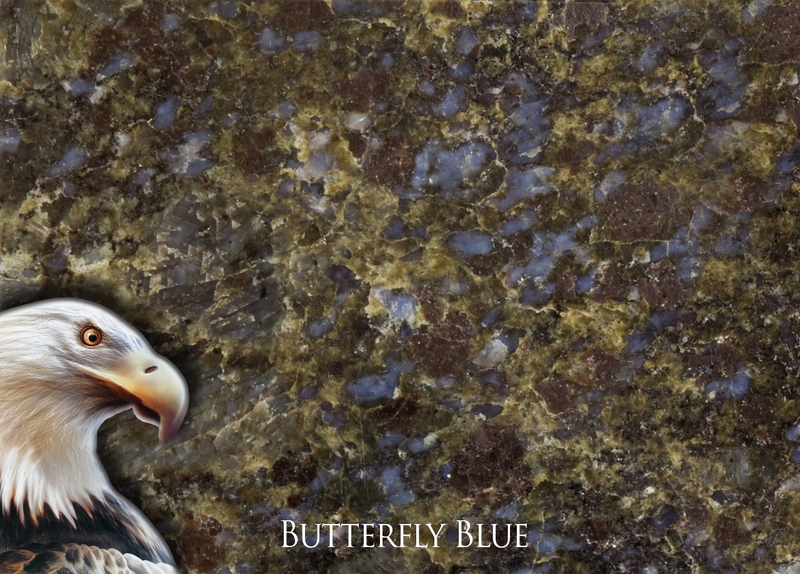 The granite is a warm, rich color that consists of reds, blues and browns. 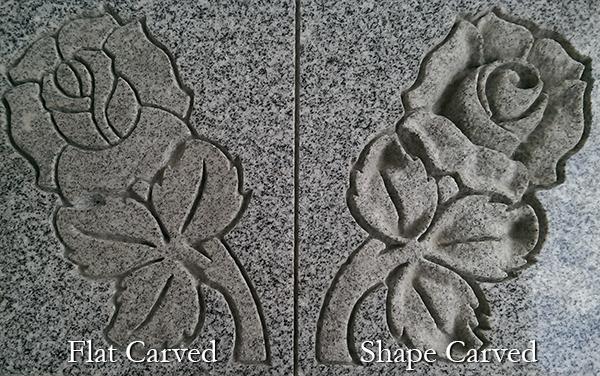 The granite is a high-contrast stone which makes it great for carving and lettering. 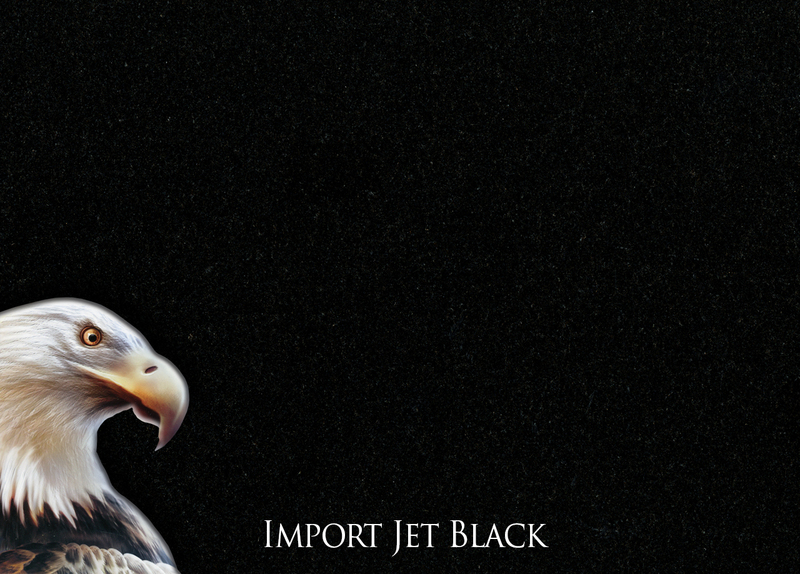 This select Dark Impala black granite is quarried in Southern Africa. This material is one of the most popular black granites. This Blue granite is a darker blue granite than what we quarry from our own site here in Elberton. 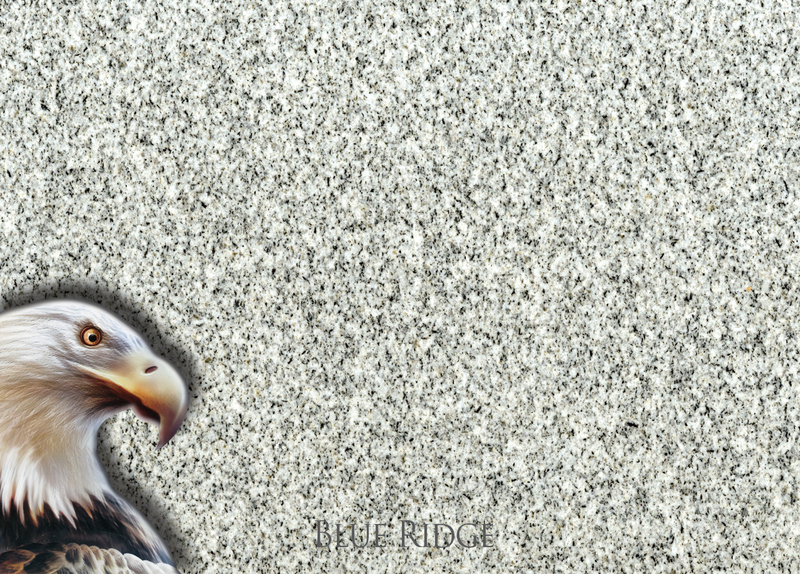 Eagle Blue is a beautiful material for memorials when polished and has an excellent contrast when sandblasted. This color is valued for its consistent texture and fine grain. 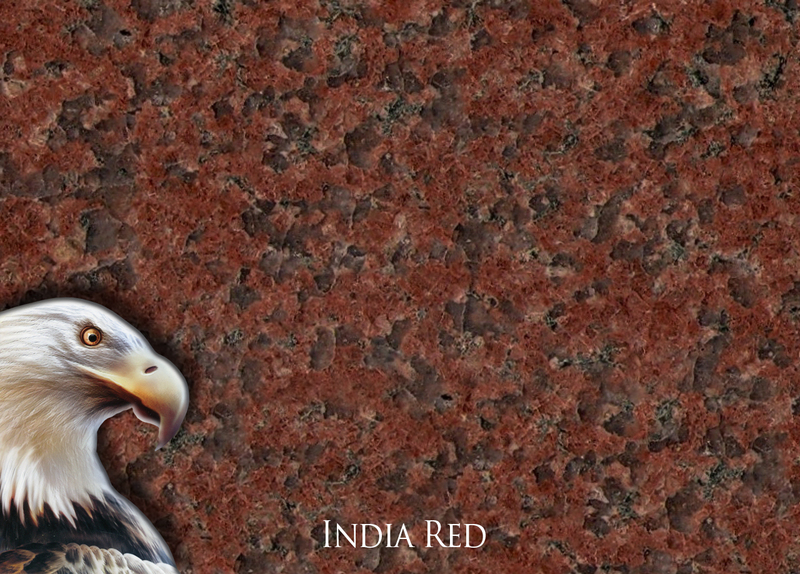 This stone is a beautiful red granite quarried in India. The red in this granite is one of the richest and brightest reds of any material used for monuments. This stone is a variegated granite quarried in Lithonia, Georgia. The granite has been used for many building projects and is also a great granite to use for monuments. This granite looks good polished or steeled. This fine-grained black granite is quarried in Southern Africa and in India. With its dark black color, uniform grain, and mirror-like gloss when polished, the stone offers a great background for etching and sandblasting. Quarried in Kershaw, South Carolina, this granite has been a very popular material to use under bronze markers. 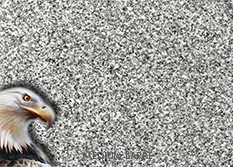 Now, many people are using it as a monumental material too. An excellent weathering material for someone who wants something different. This granite is mottled grey and white in color and comes from Barre, Vermont. 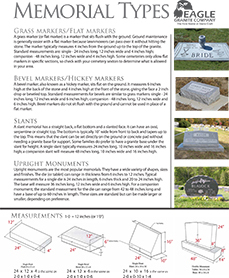 Medium Barre granite is a popular material for granite memorials in the United States due to its consistency. This granite is quarried in Llano, Texas. This rose colored granite is a popular choice for memorials. This granite is quarried in the Elberton granite district. This variegated granite is used mainly for granite bases and benches. A pink granite quarried in Salisbury, North Carolina. This material has proven itself as an excellent monumental stone for more than 30 years. Because of its unusual color, many people select it for use with bronze accessories. 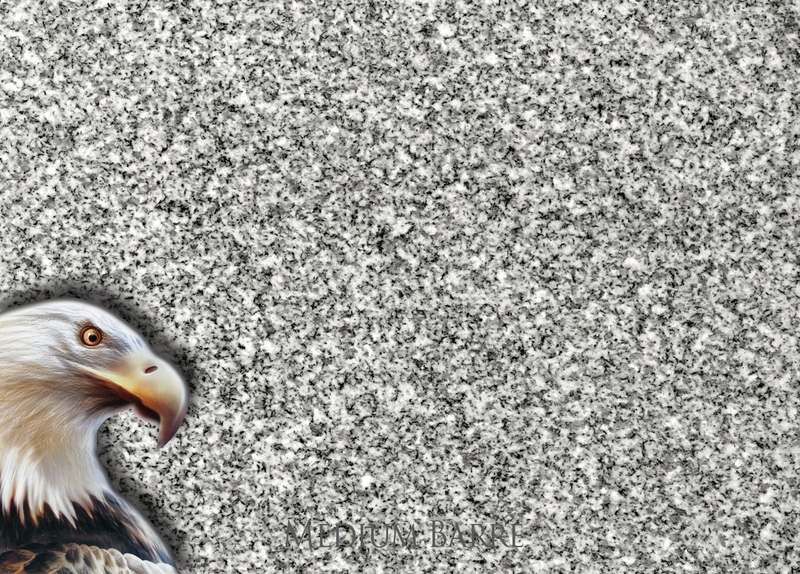 Eagle maintains a large import memorial inventory. 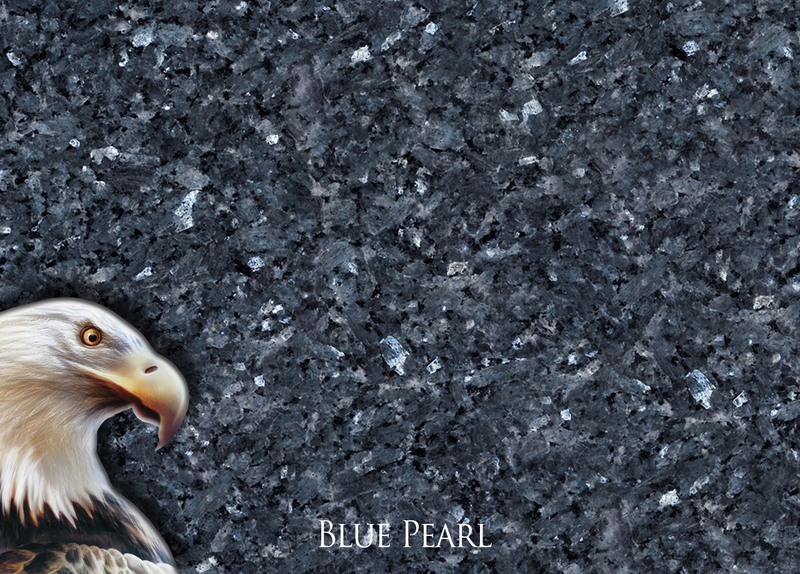 We also inventory Blue Pearl Granite in block form for any of our designs including markers, slants, dies and bases, and custom estate pieces.